Transfer to CDN (A Content Delivery Network or Content Distribution Network) function can maintain and accelerate the content of your WordPress site. You can find it At the Image Optimization Tab of Gallery Plugin. After that open Zone Tab and click on Add Zone. Zone Type – here you should choose the Push option. Note: in “Advanced Features” we recommend you to disable “CORS” feature for better work of the plugin. 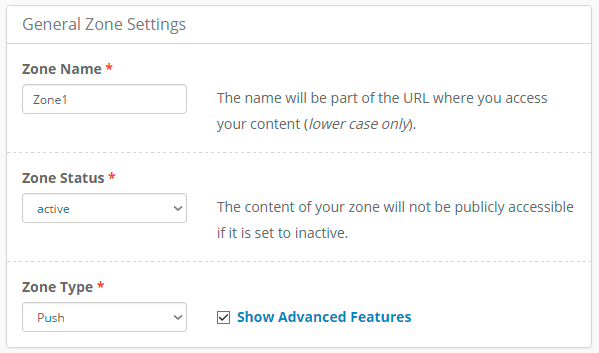 After creating new zone, transfer the information from KeyCDN to the Image Optimize Tab. 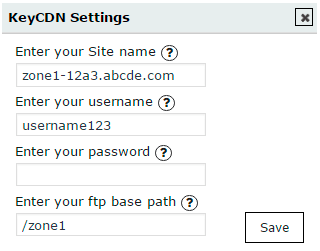 FTP base path – enter the root path of your zone.